Visitors to HMH may have noticed the banner photos that decorate our home page. Drawn from my own portfolio, they change with every new log-in. I’ve taken over fifty-thousand film and digital photographs during my tenure as a freelancer. It’s typical to shoot hundreds of photos for one magazine assignment, only to see four wind up in print. This is a normal part of the publishing business- a bit of a shot-gun approach perhaps but professional photographers around the world use this technique, “shoot a ton to publish one,” I heard an old pro say once. Many photographers throw away surplus images, especially after the check has been cashed- it saves storage space on expensive servers. I like to hang onto things so hence- the banners! Click to enlarge any of the photos that appear in the feature articles, columns or this journal. The photo captions appear when the photo itself is enlarged. Unless otherwise credited, all photos on the site were taken by myself or my husband Art. I encouraged him many years ago to take up photography seriously and he’s developed into an excellent shooter and digital photo master who’s gone on to have his own work published. I was actually a photographer before I became a writer, now the two are inseparable parts of my professional self. I don’t like the term “blog”, it just sounds like something nasty that got stuck under a table in a greasy dinner. So I chose the much nicer word “journal” for the editor’s page. It’s difficult to write about things you don’t do yourself so I make a point of getting on a horse at least once a week. 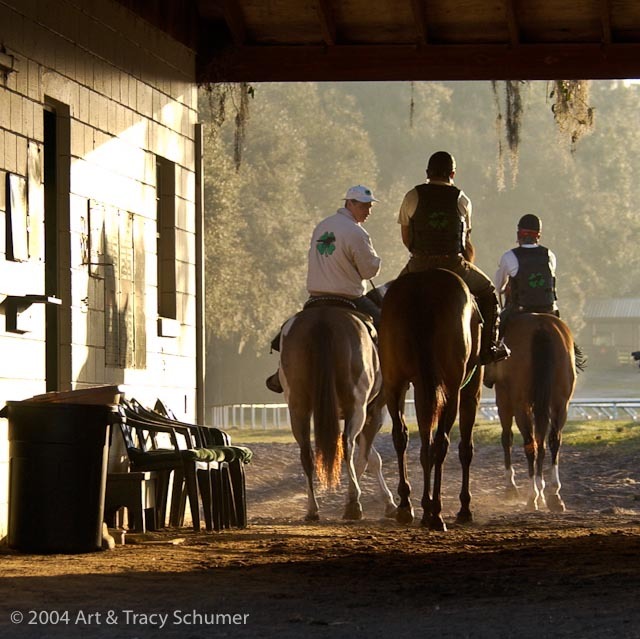 Dedicated riders and drivers, professionals and top competitors are our sources as journalists in the equine industry, however, readers may be surprised to know that there are a lot of us who haven’t been on a horse in years. The editor of a major Carriage Driving magazine in the US, recently confessed in print to the fact that she hasn’t driven a horse in nearly thirty years; this is sad but not uncommon. As for me, I’ll be branching out from here- seeking out new life and new civilizations…oh wait, that was Captain Kirk. No, actually, I’ll be heading out over the next hill- looking for more interesting horses, horse people and horse related activities so stay tuned! Tracy Schumer is the editor of High Minded Horseman. A Florida native and lifetime horse enthusiast, she is currently based in Europe where she rides dressage, enjoys carriage driving and is always on the hunt for new experiences with horses. Find other articles similar to this one by clicking on any of these tags. There are no comments yet, how about adding one?